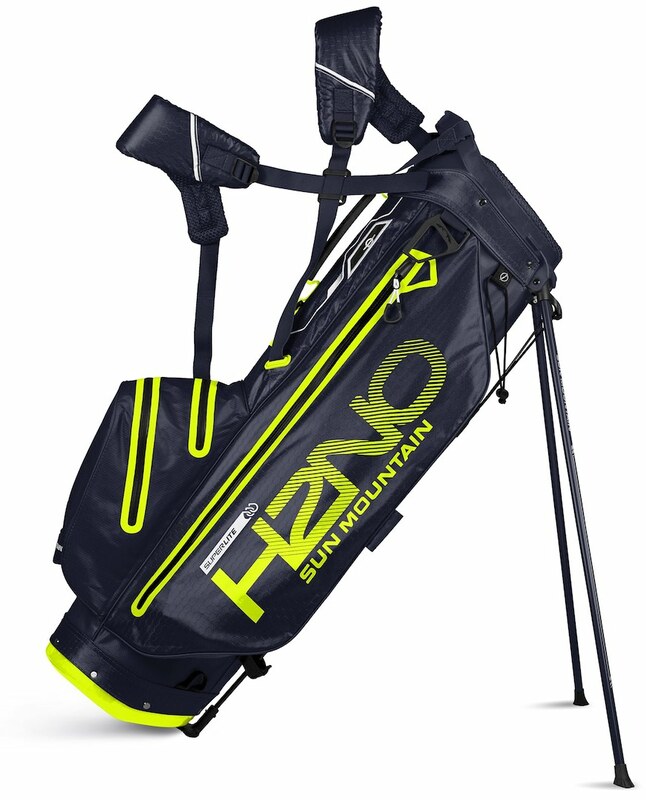 Both these two iron ranges have already been getting significant usage on Tour and, from January 26th 2018, they will be made available in stores across Europe to professional and amateur golfers. 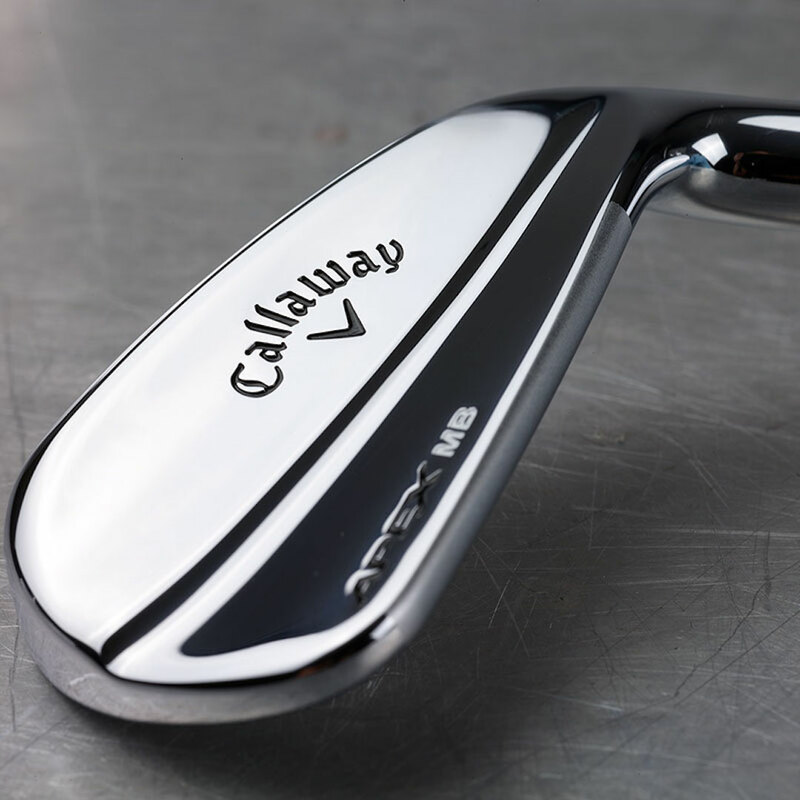 Quickly becoming Callaway’s most popular iron on Tour (including being the #1 Iron model at the recent Italian Open**), the new Apex MB is a true muscle-back blade with classic, compact shaping and style, a traditional, slightly thinner top line, and a beautiful bright chrome finish. 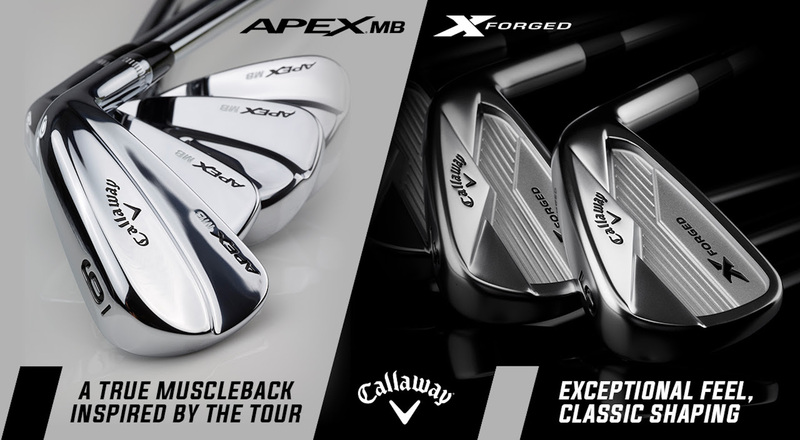 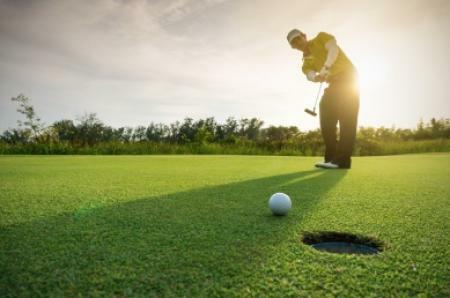 The world’s best players have been heavily involved in the development of Apex MB, and they already feature in many Callaway Staff Professional bags, including Kiradech Aphibarnrat, Nicolas Colsaerts, Haydn Porteous, David Horsey, Thomas Detry and Alvaro Quiros. 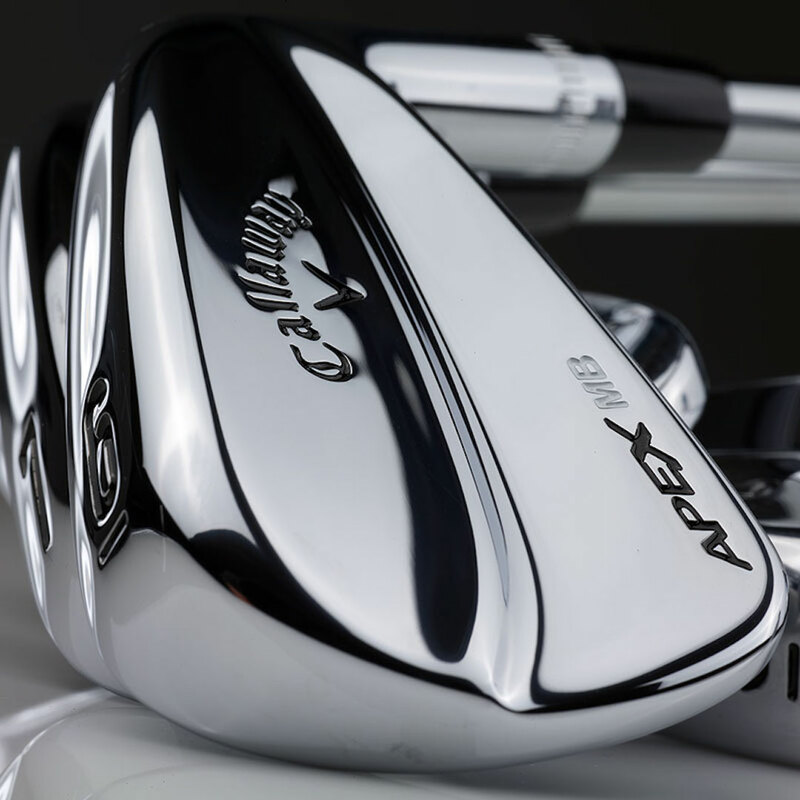 Callaway engineers have paid particular attention to CG positioning in the Apex MB to create a ball flight preferred by Tour players, whilst retaining more traditional lofts that align to the needs of the better golfer who is in-tune with distance gapping and consistency. 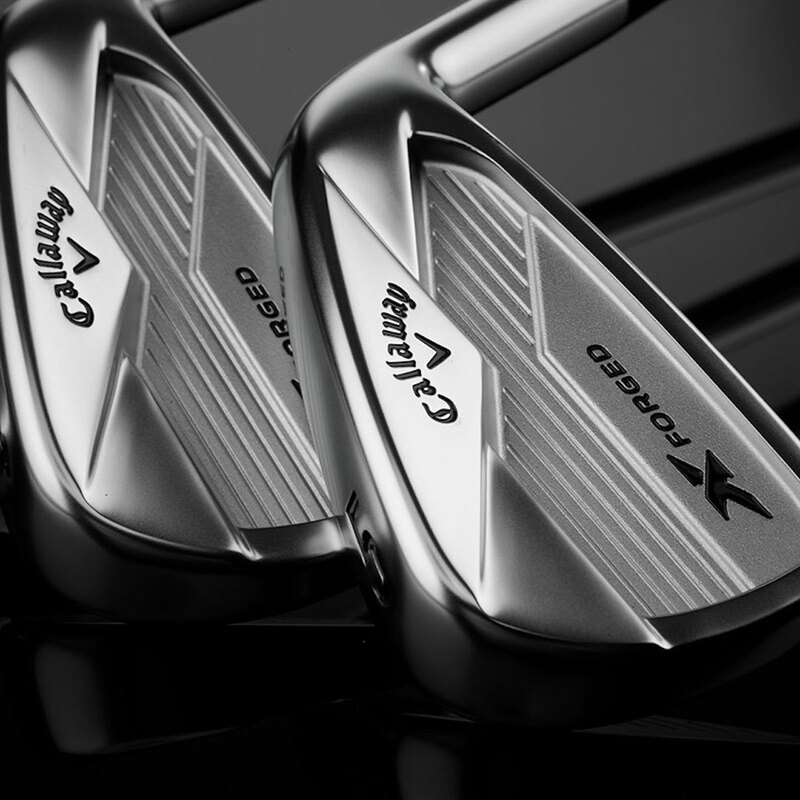 Each iron, forged from a single piece of 1025 Carbon Steel, is engineered for a remarkably soft feel, with the exact craftsmanship and precision that can only be achieved through Callaway’s premiuim Triple Net Forging process that allows for a more aggressive and precise ‘V’ shaped groove pattern, to deliver consistent control and shot-shaping, for pin-point accuracy. 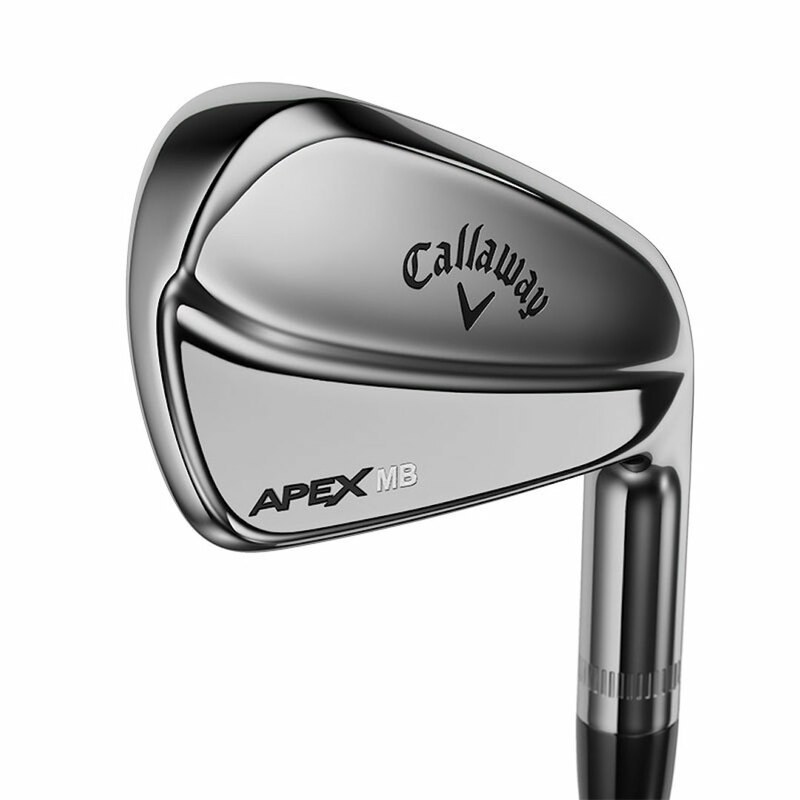 “Creating a club with the shortest blade length, smallest head and thinnest sole of any irons in the current Callaway range, Apex MB are unashamedly designed for the type of player that looks for maximum workability and has very specific needs from how the club interacts with the turf,” added Luke. 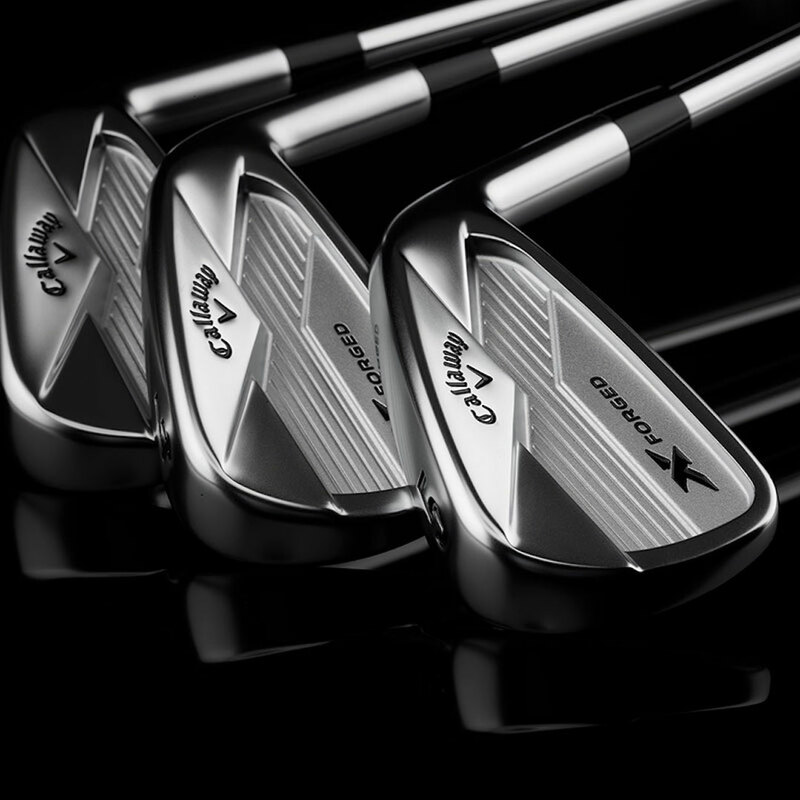 With a clean and classic look at address, the new X Forged Irons are engineered for high performance and exceptional feel from a precise Triple Net Forging process. 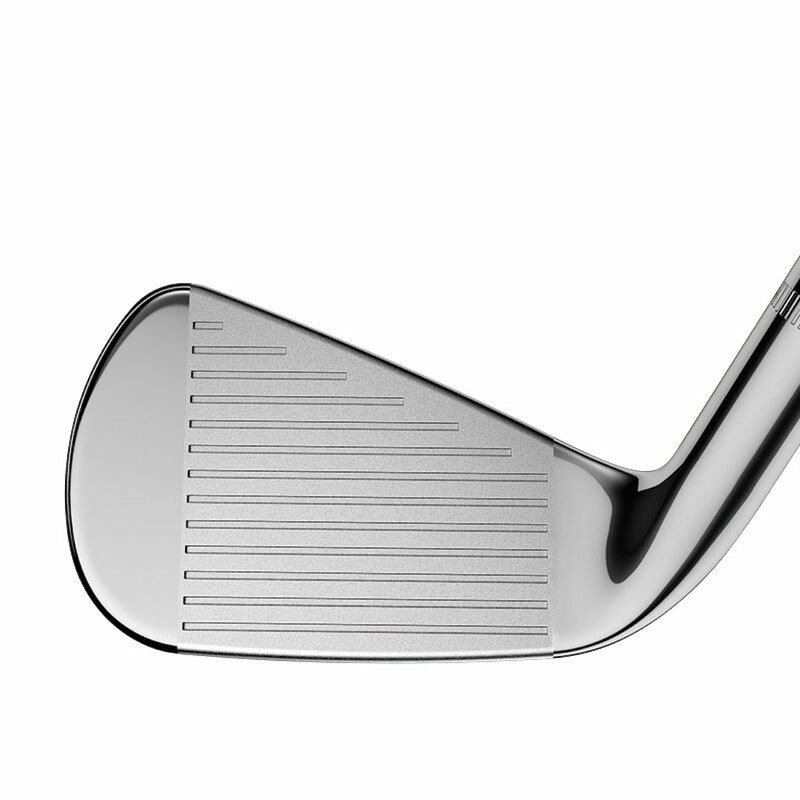 This single piece, cavity back iron features Tour configured soles, CG progression for precision shot-making and accuracy, with just the right amount of forgiveness and a classic finish. 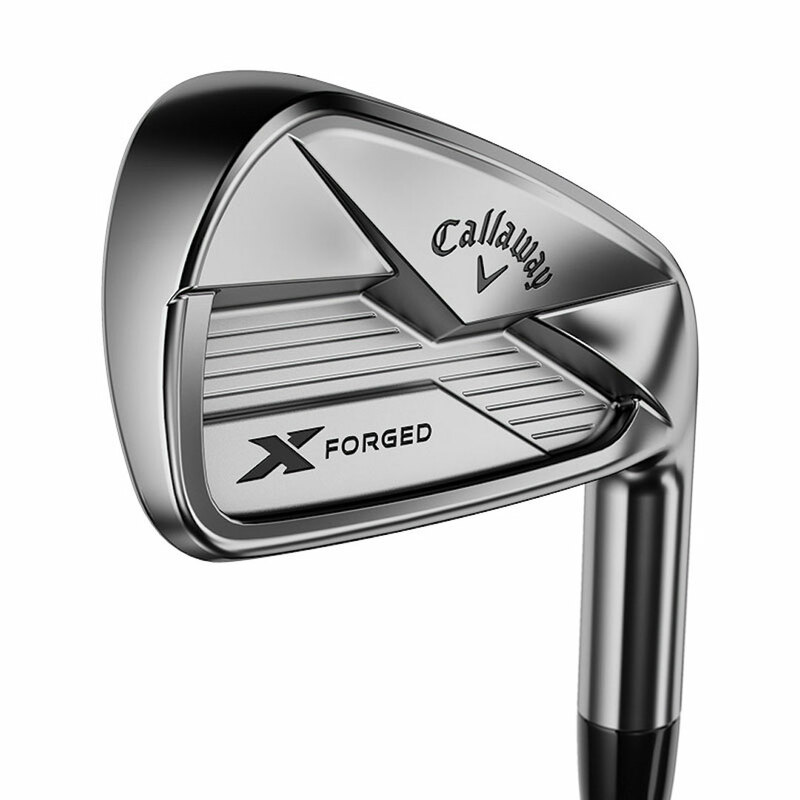 X Forged also features a similar precise and aggressive ‘20V’ shaped groove pattern seen in the Apex MB, made possible through the forging process, promoting high levels of control and spin out of any playing conditions, whilst retaining the clean and classic look at address, inspired by some of Callaway’s most popular forged irons. 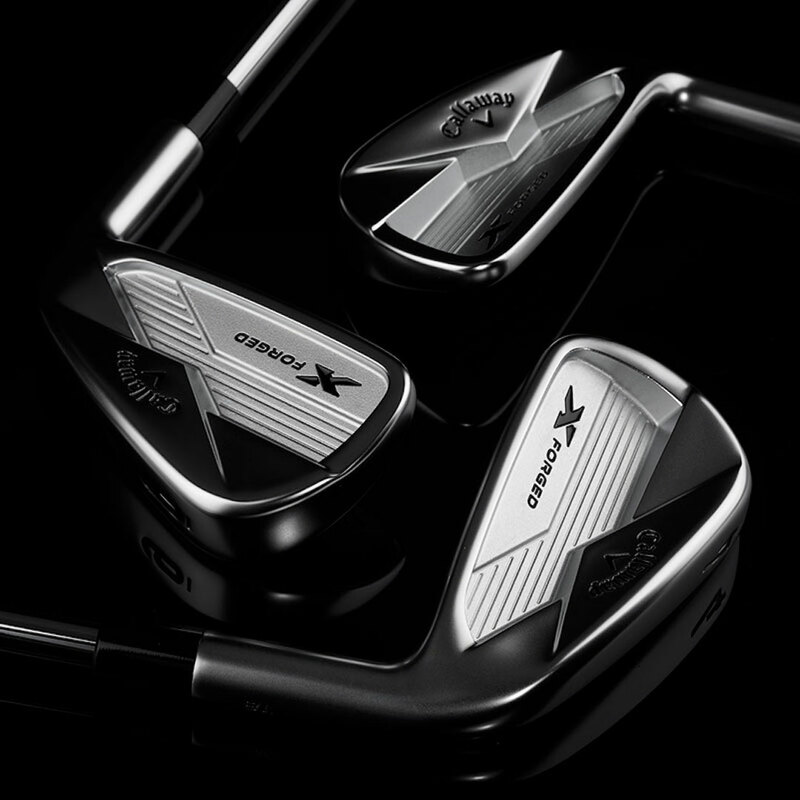 Compared to the Apex MB, X Forged is more forgiving with a slightly longer blade and slightly larger head size, to instil confidence in both Tour players and accomplished amateurs.